Heins says that tablets will no longer be needed in 5 years. Not sure if we can agree with the great man, on this regard, at least at this point. These words do put the future of the PlayBook tablet in serious doubt. We could actually hear the last of the tablets, at least from BlackBerry, at the BlackBerry Live conference scheduled in Orlando next month. The current offering, the PlayBook, received a rather tepid response in the market. There were reasons for that, the prime ones being the lack of an email and calendar app on the device. Though it must be pointed out that the tablet was sent into the market during the previous management regime’s tenure. The PlayBook runs the QNX operating system, which is the predecessor to BlackBerry 10. The company, at the launch of the Z10, had confirmed that the PlayBook will get the BB10 operating system update sometime this year, and we are still waiting for that. BlackBerry PlayBook - All work, no play? 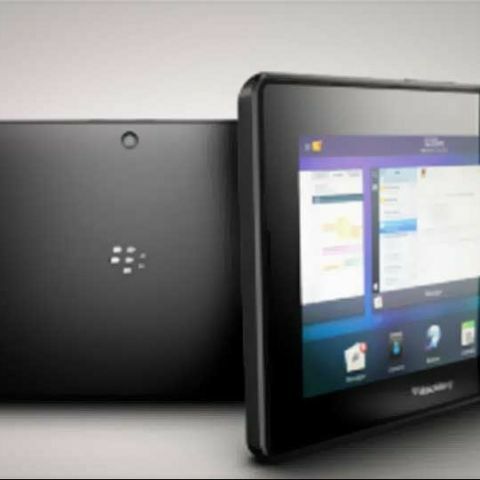 BlackBerry 10-inch PlayBook in the works? We are not really sure if this was the time and the place to be discussing the tablet market, particularly when there is no clarity from the company’s side regarding its own tablet lineup. We believe smartphones is what they need to focus on this year, and smartphones only.